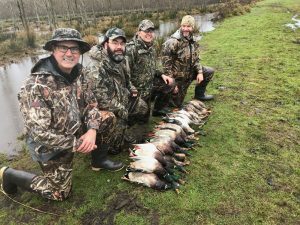 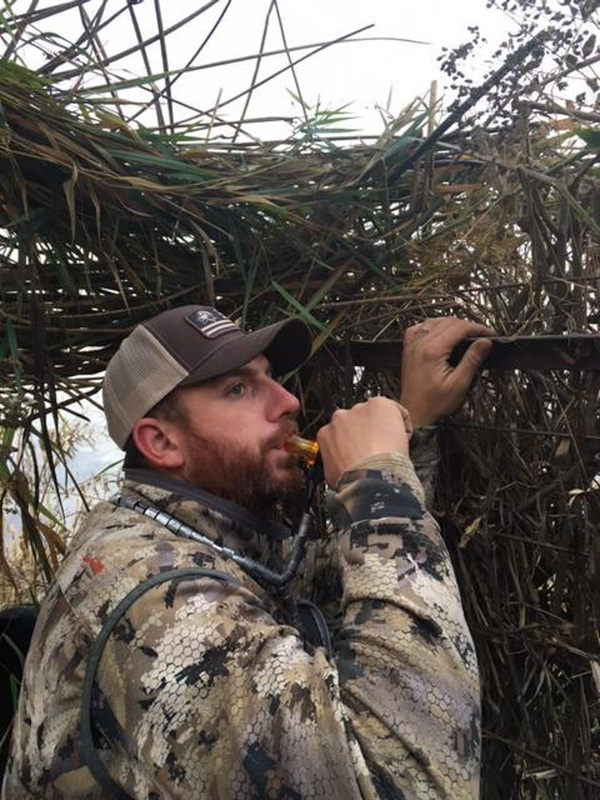 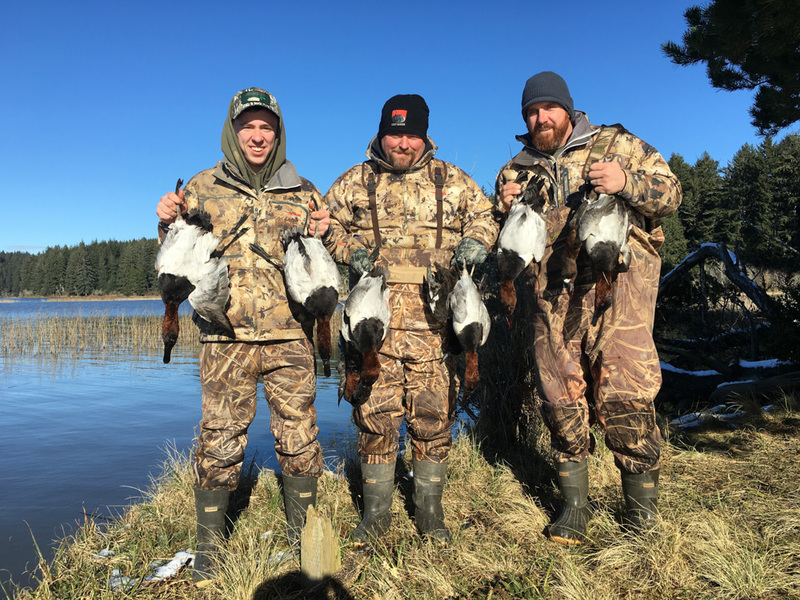 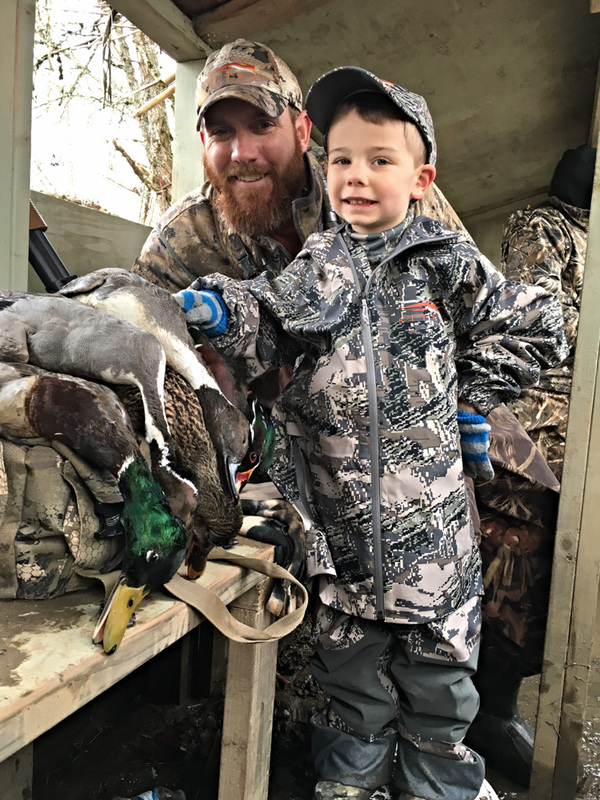 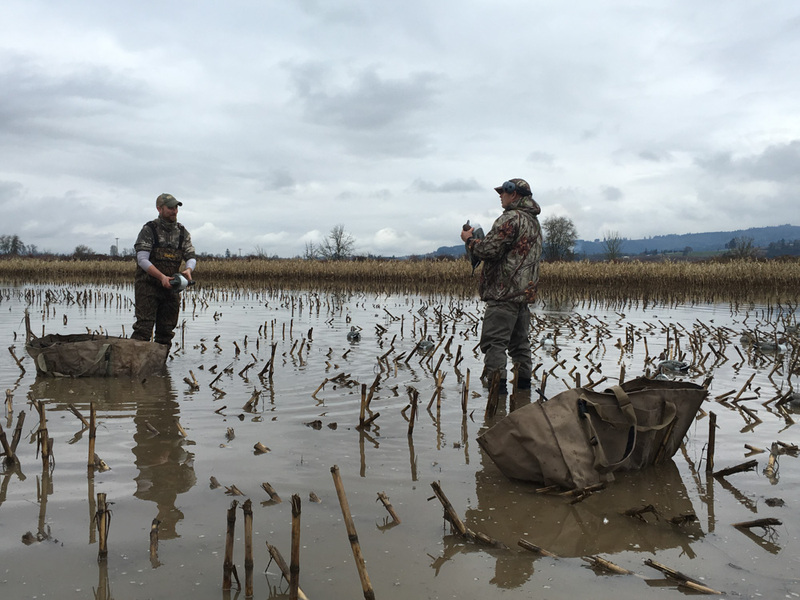 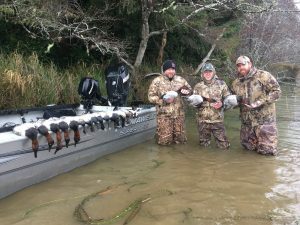 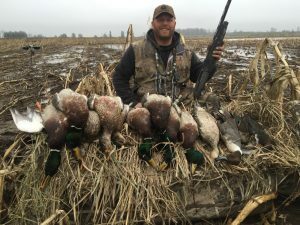 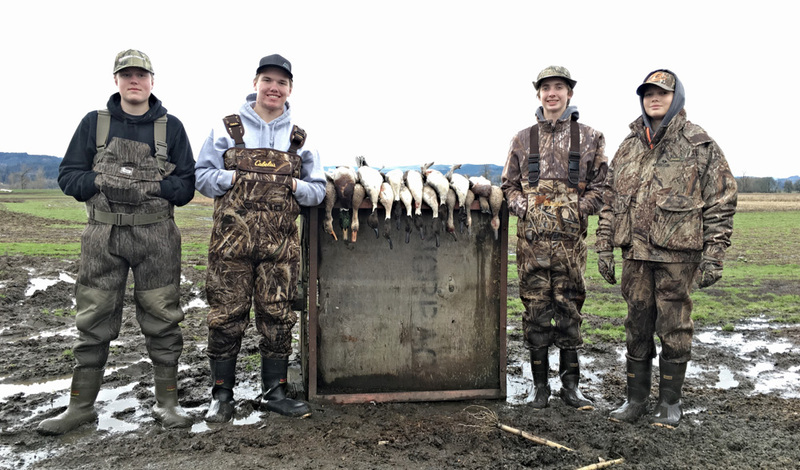 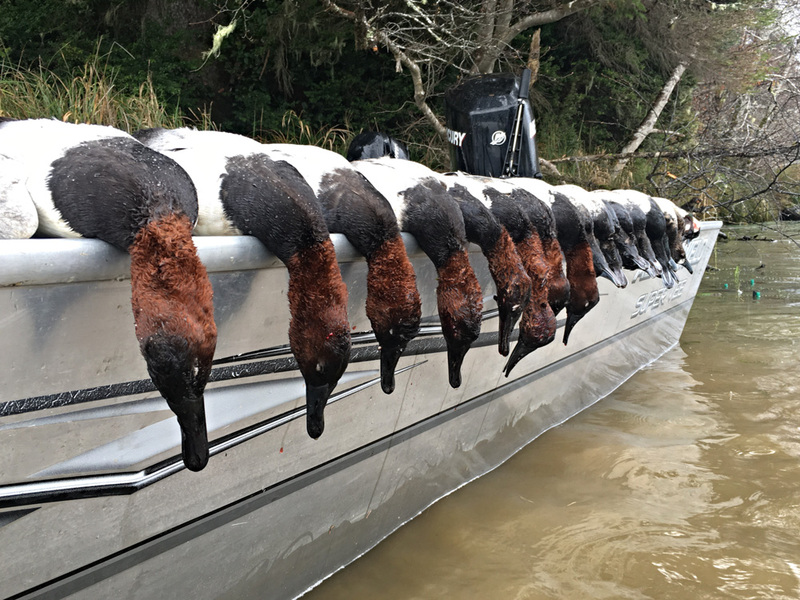 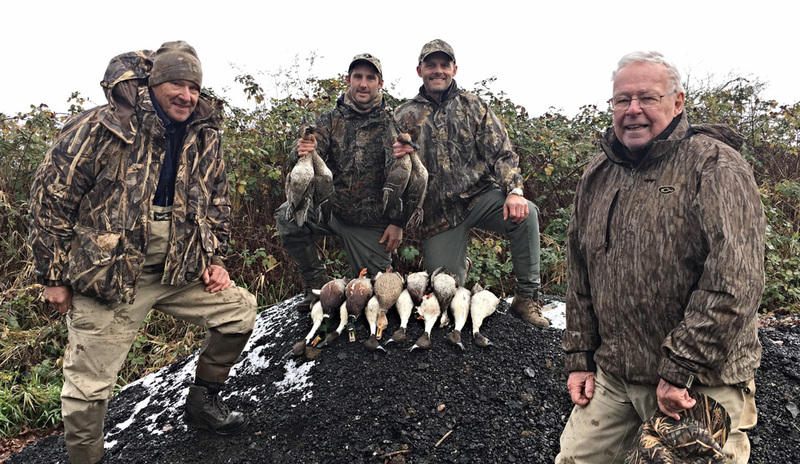 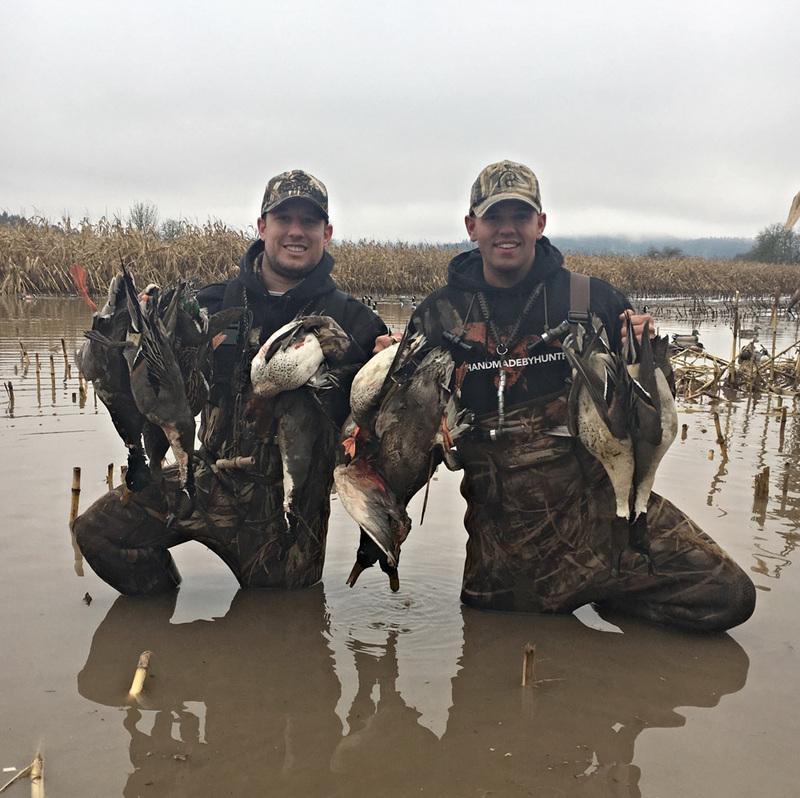 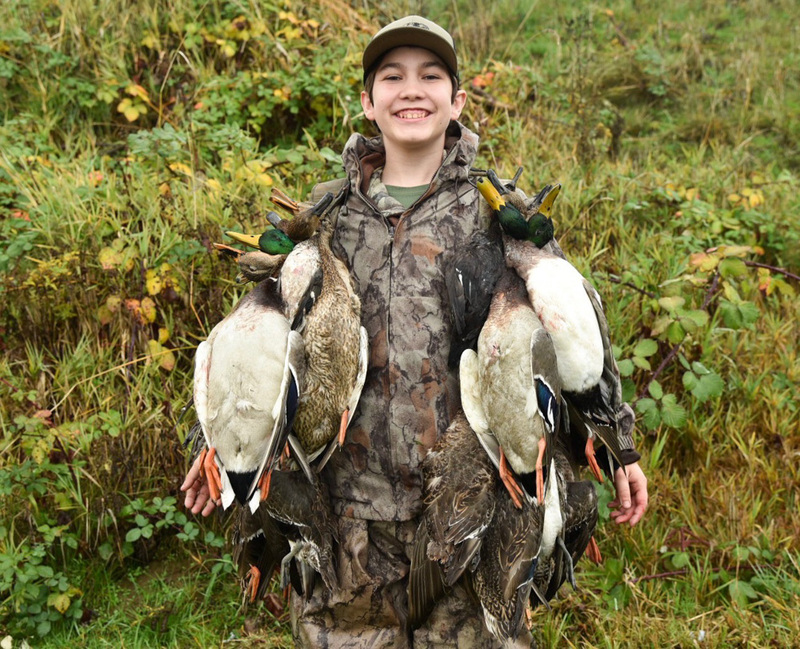 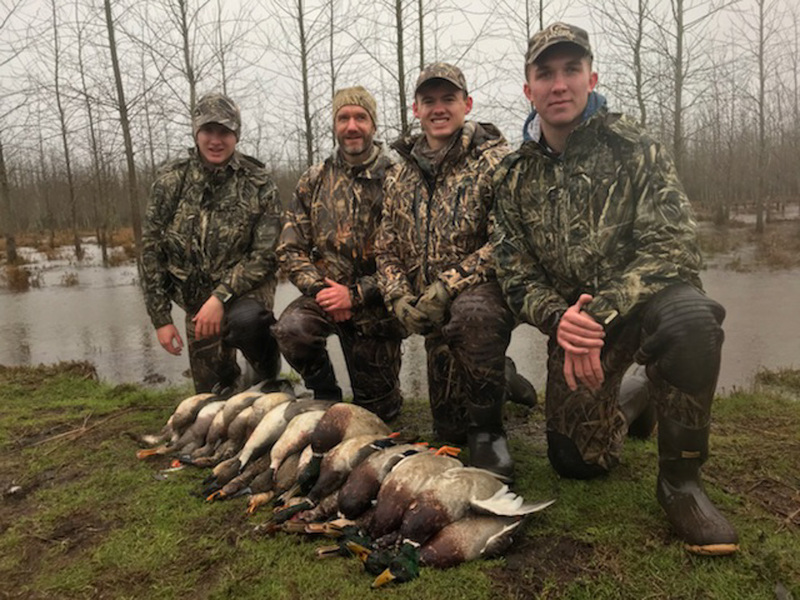 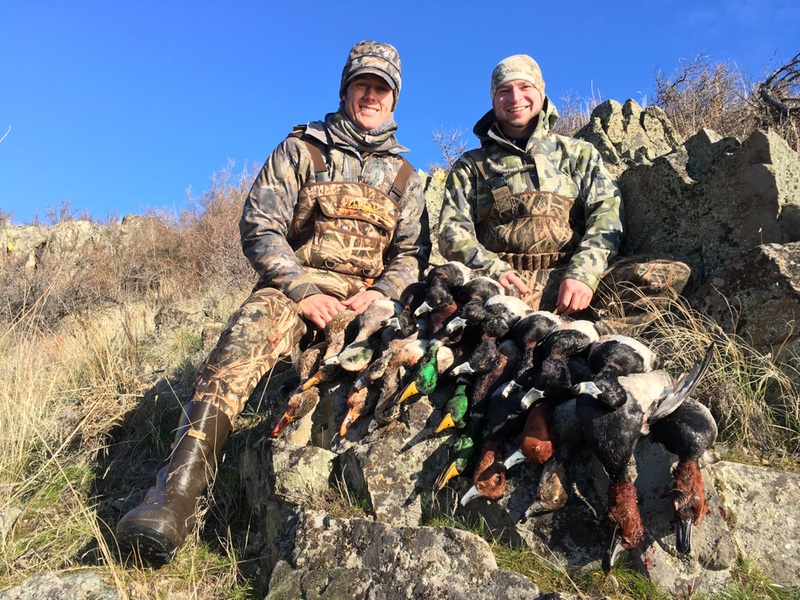 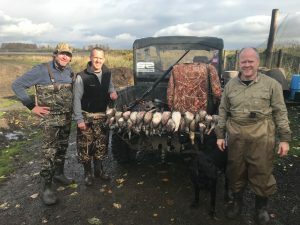 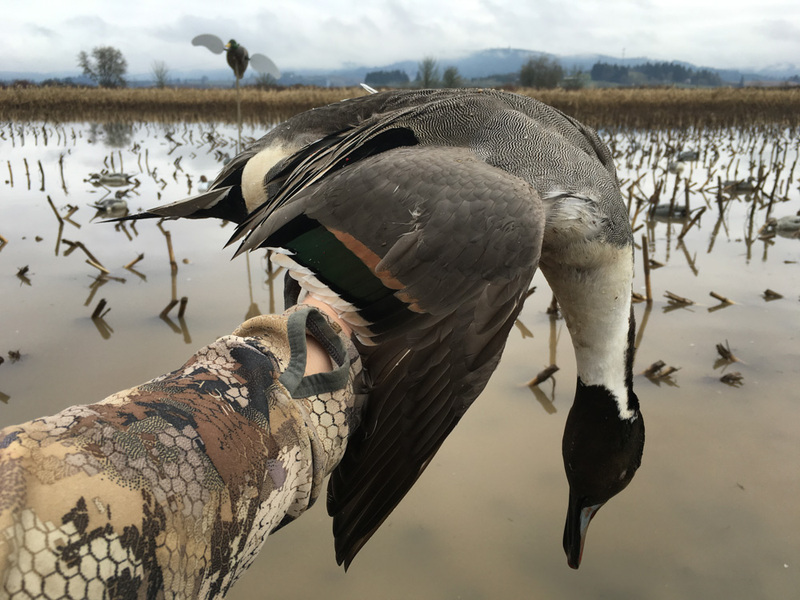 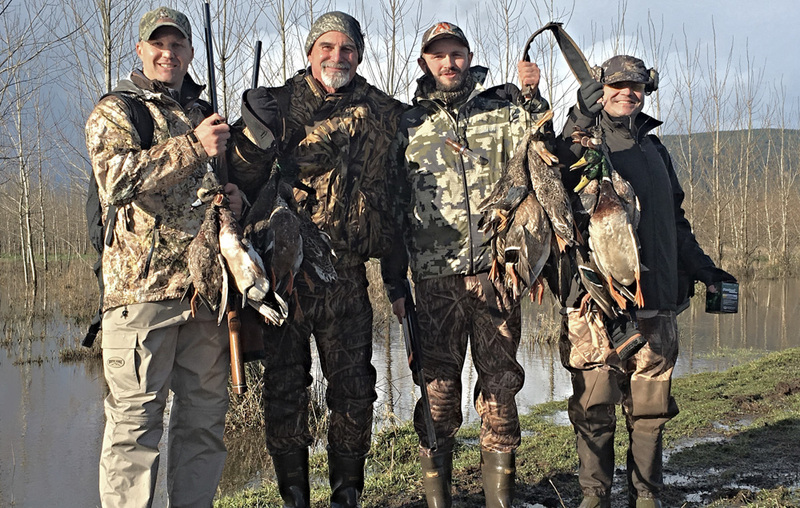 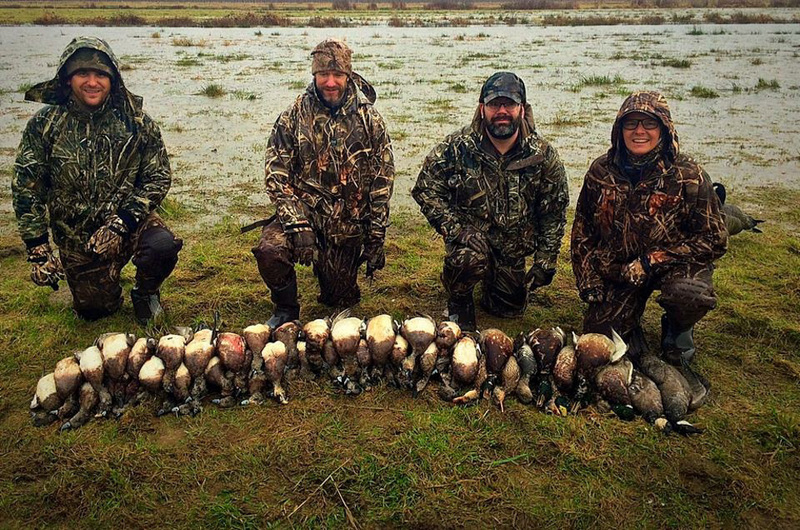 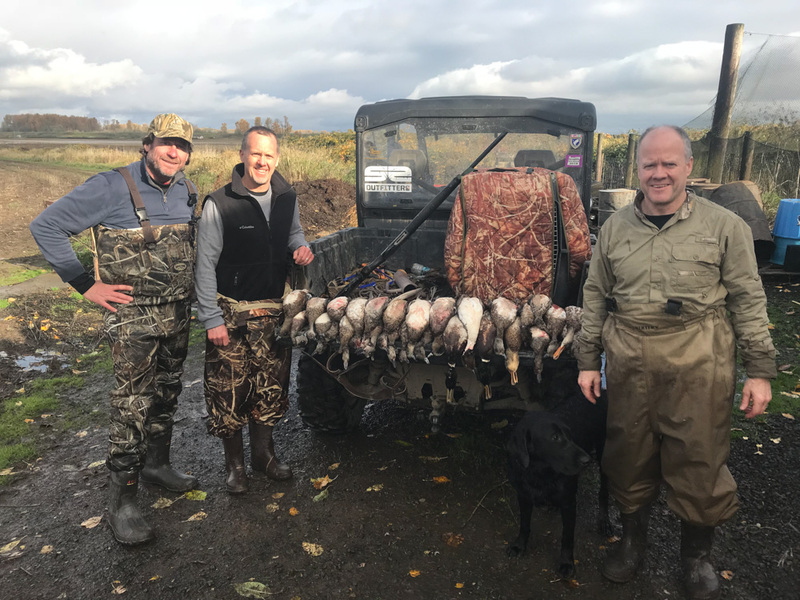 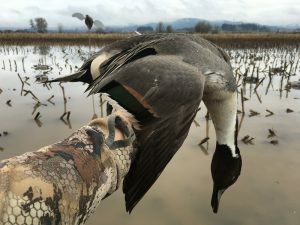 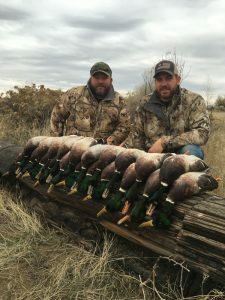 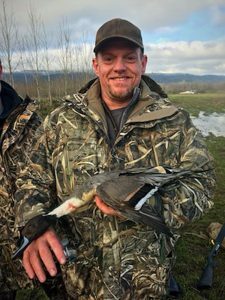 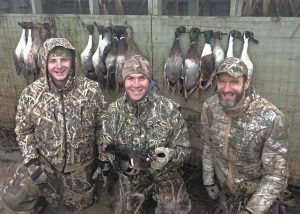 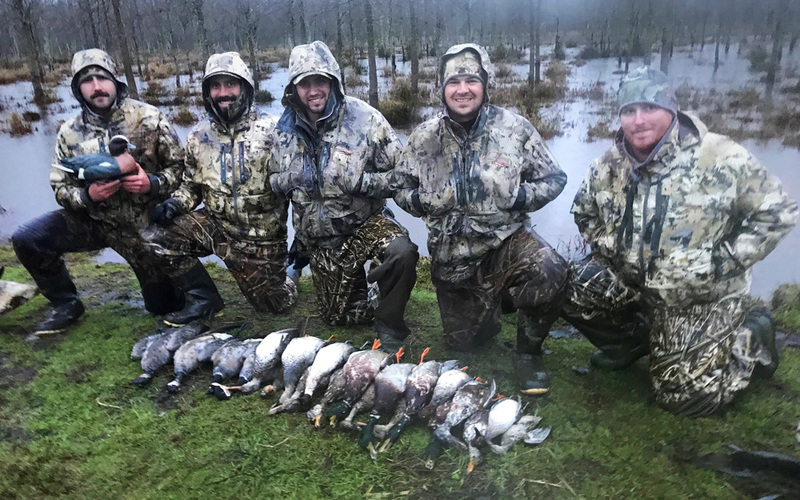 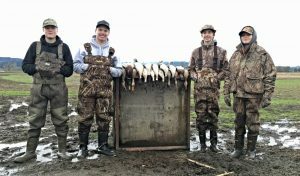 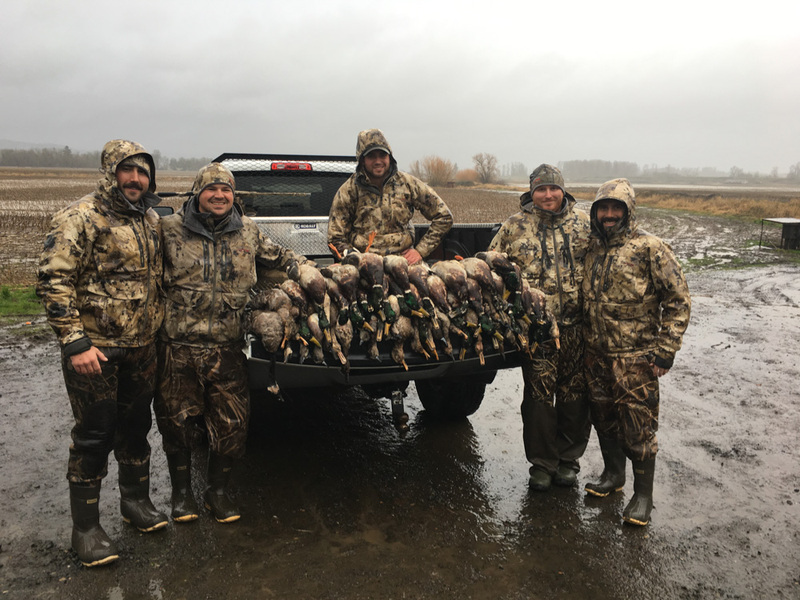 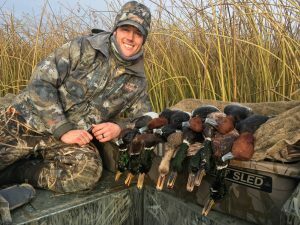 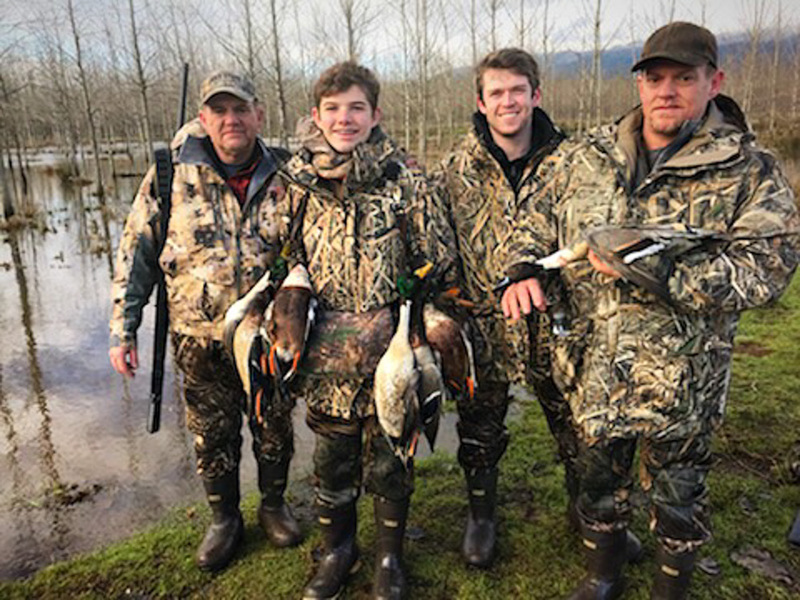 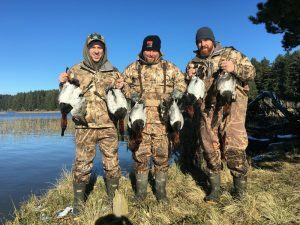 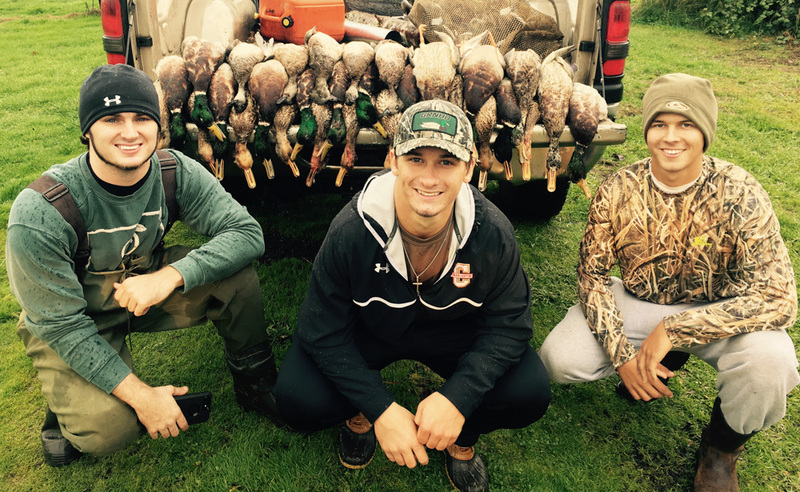 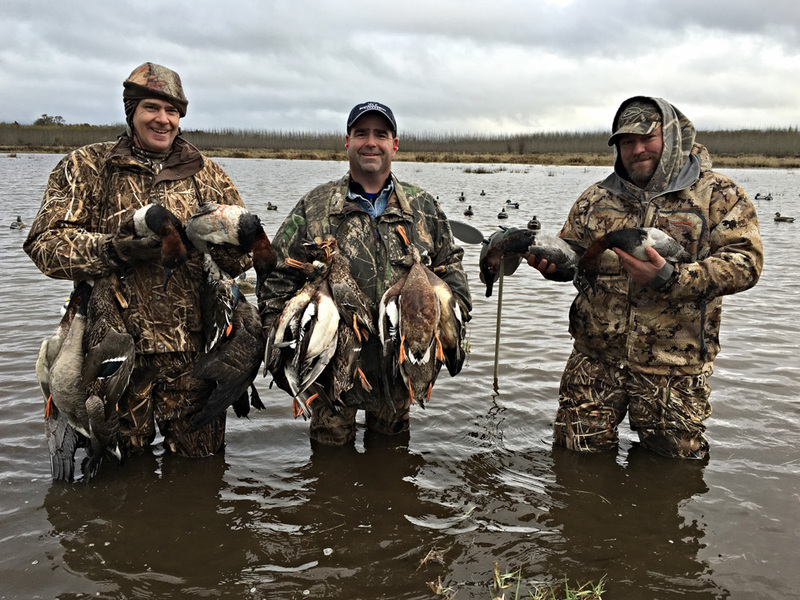 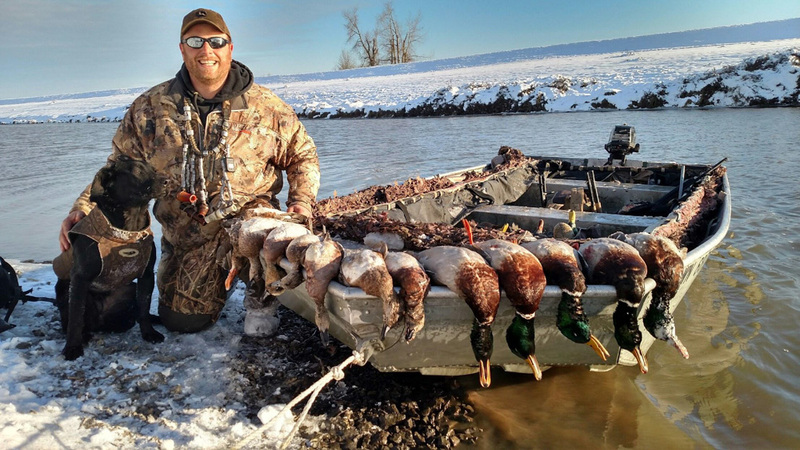 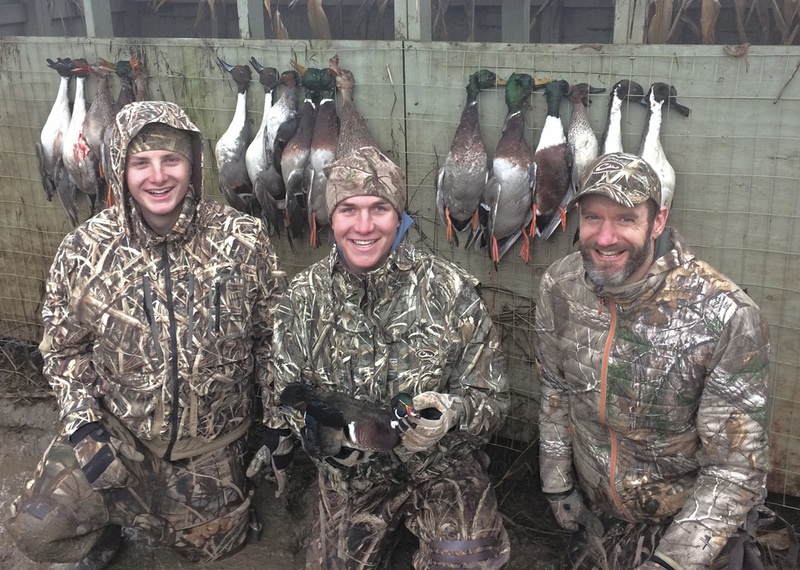 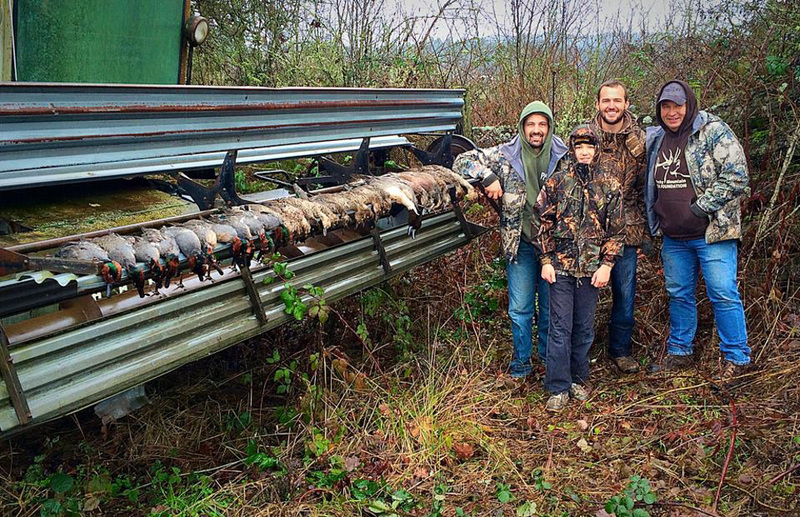 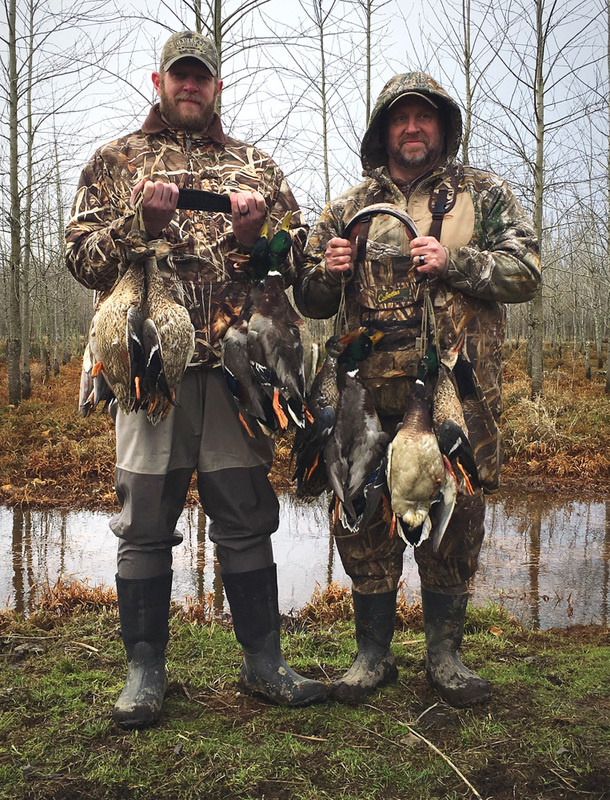 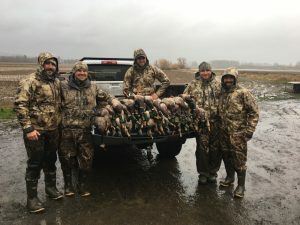 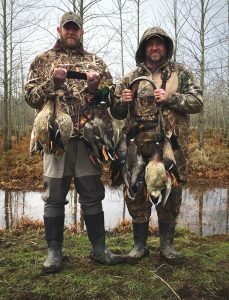 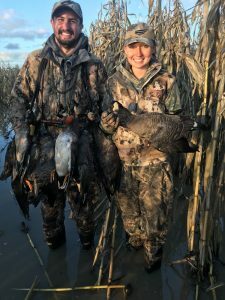 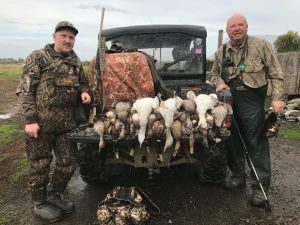 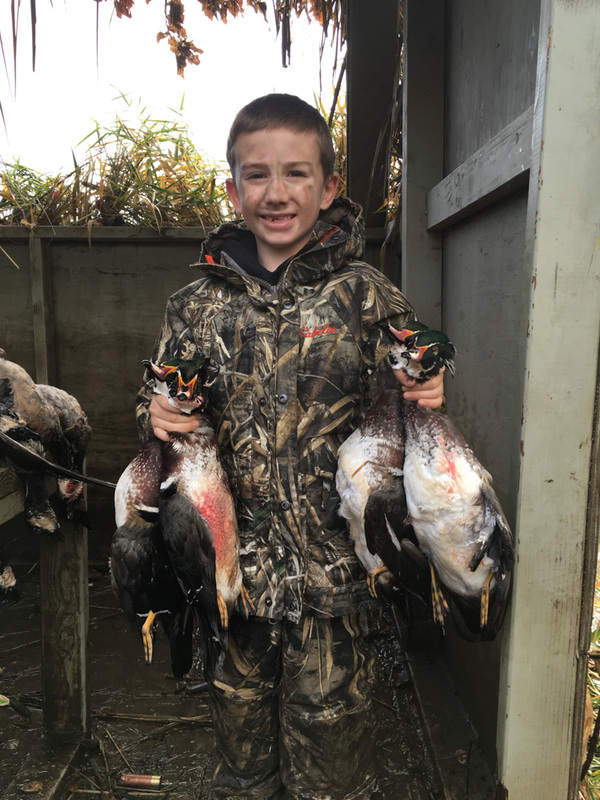 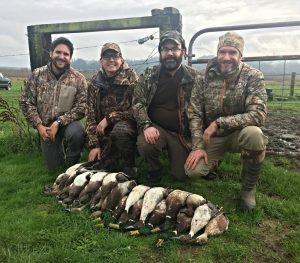 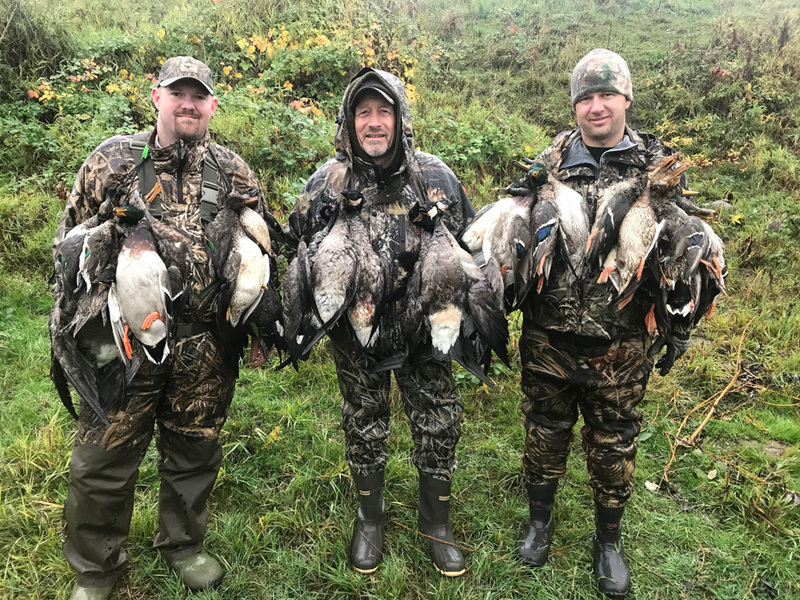 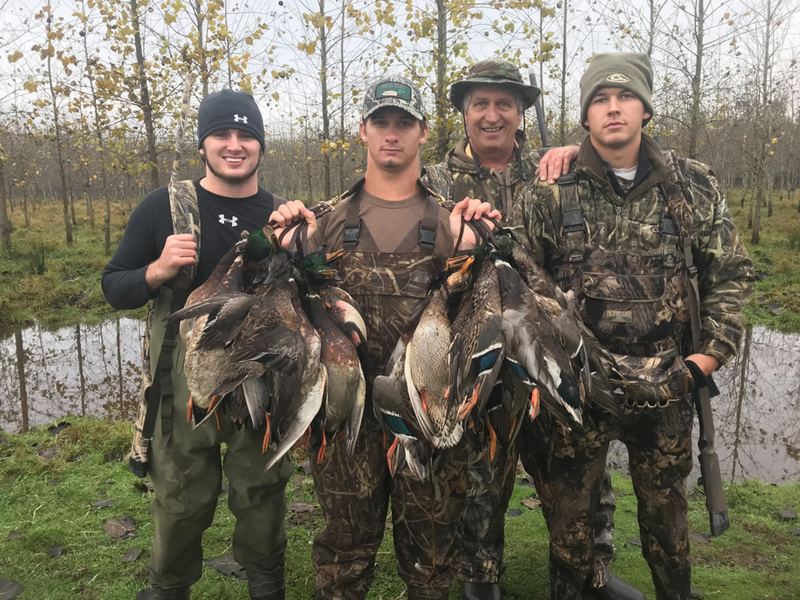 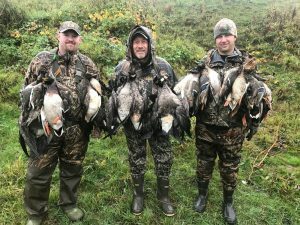 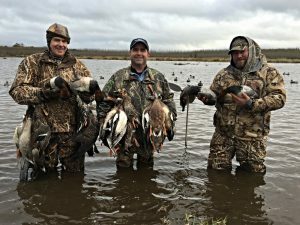 Duck hunting in the Pacific Northwest is something that has to be experienced. 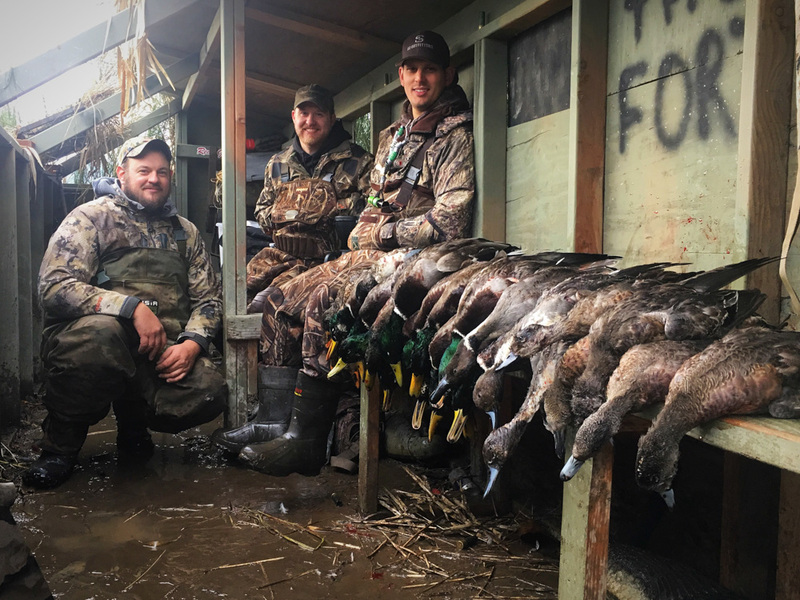 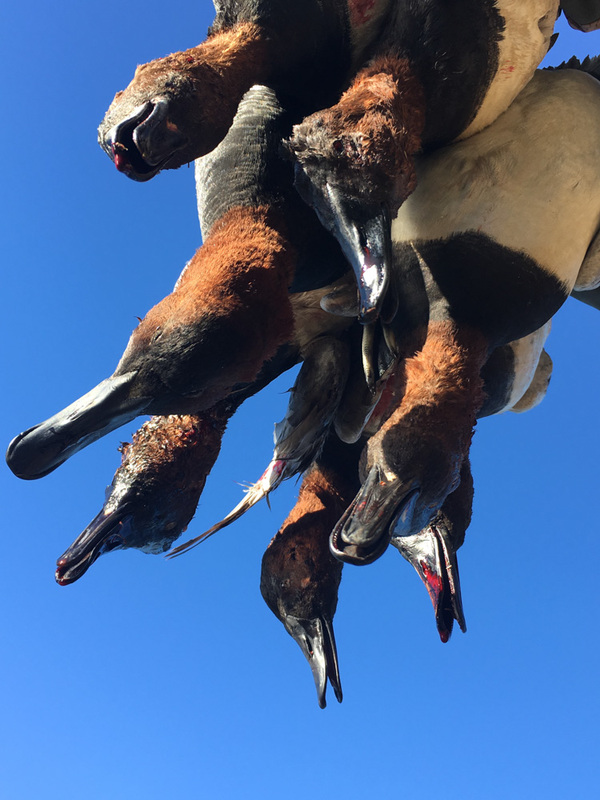 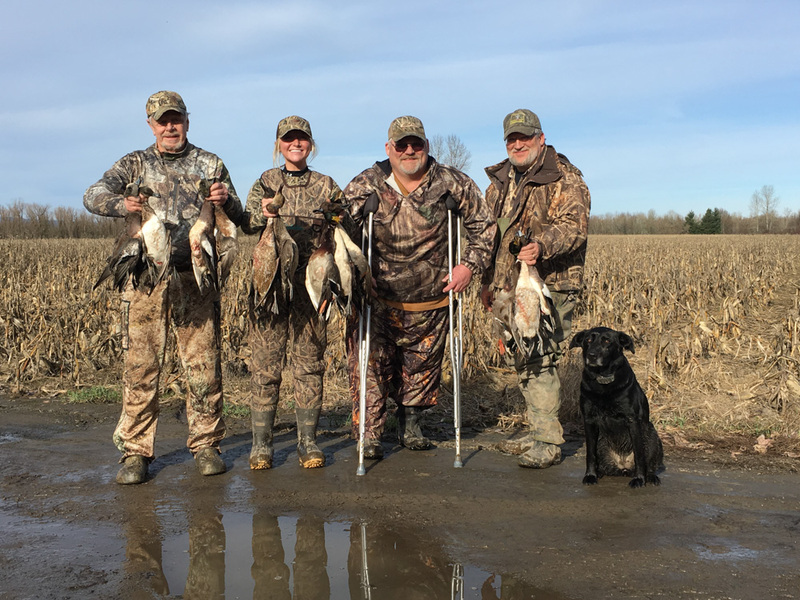 With hundreds of thousands of ducks migrating up and down the Pacific flyway we specialize in shooting ducks “feet down” from beginning to end. 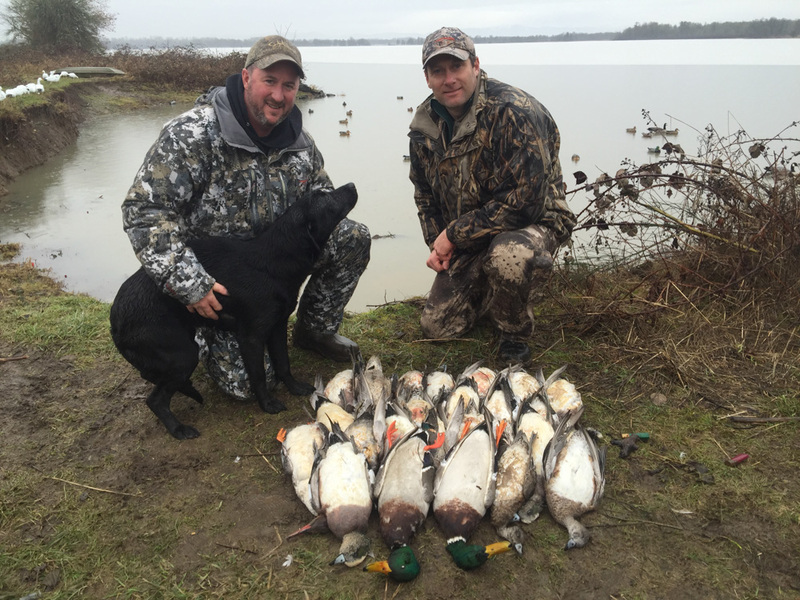 We keep the number of duck hunts limited to ensure a quality hunt every time. 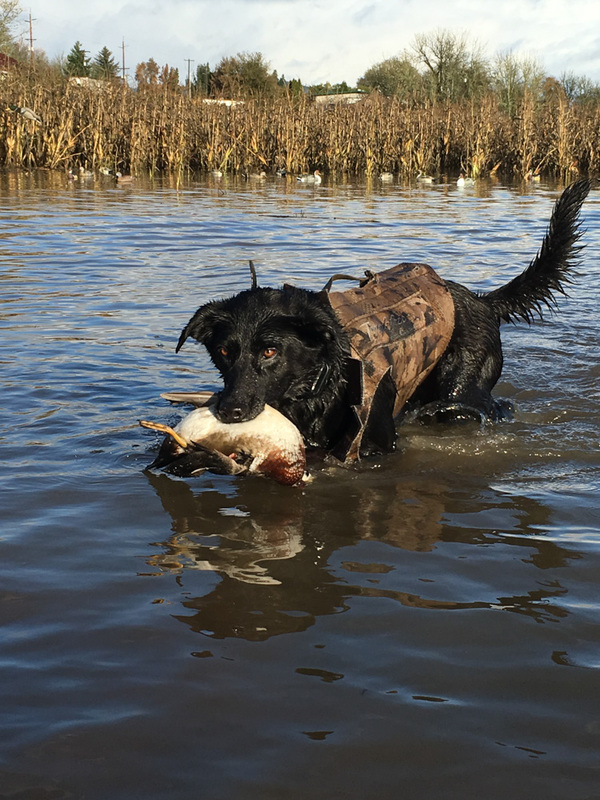 Peak migration occurs from Nov-Jan across the state. 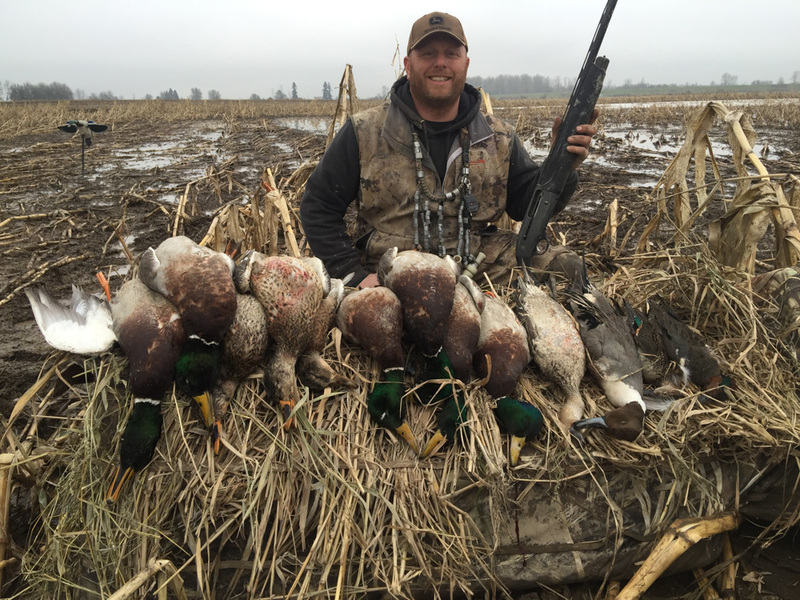 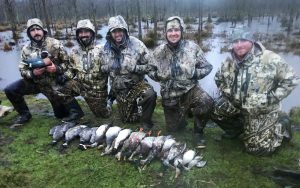 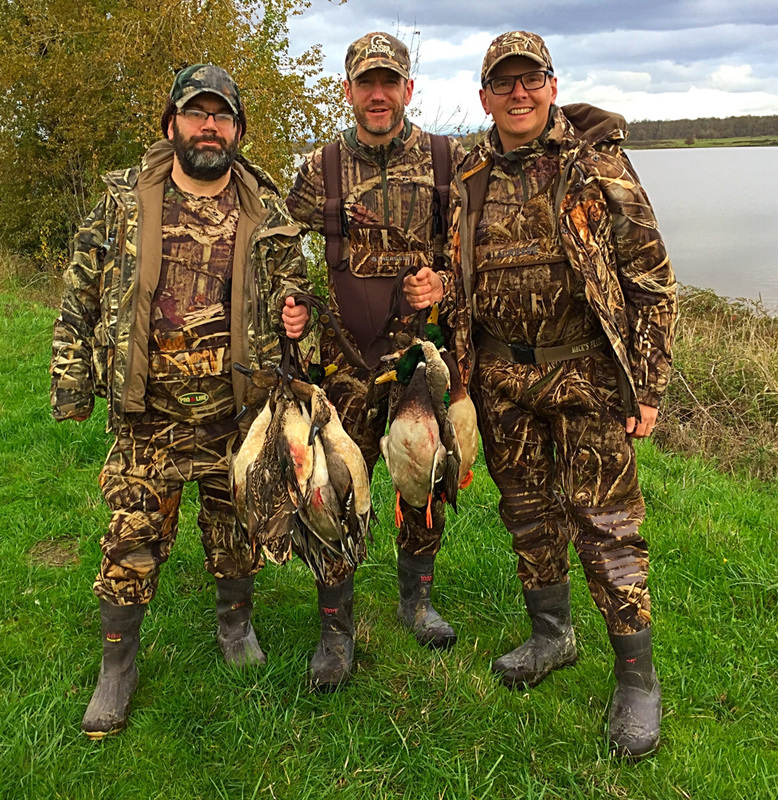 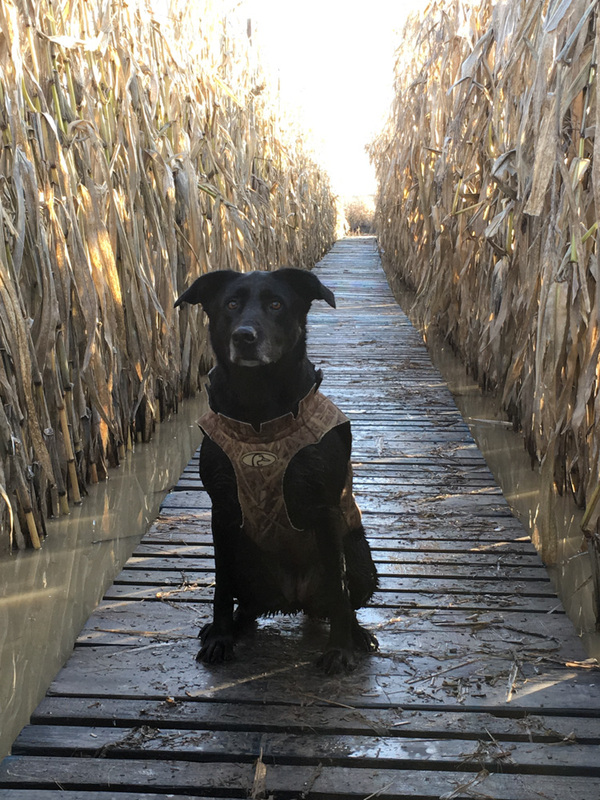 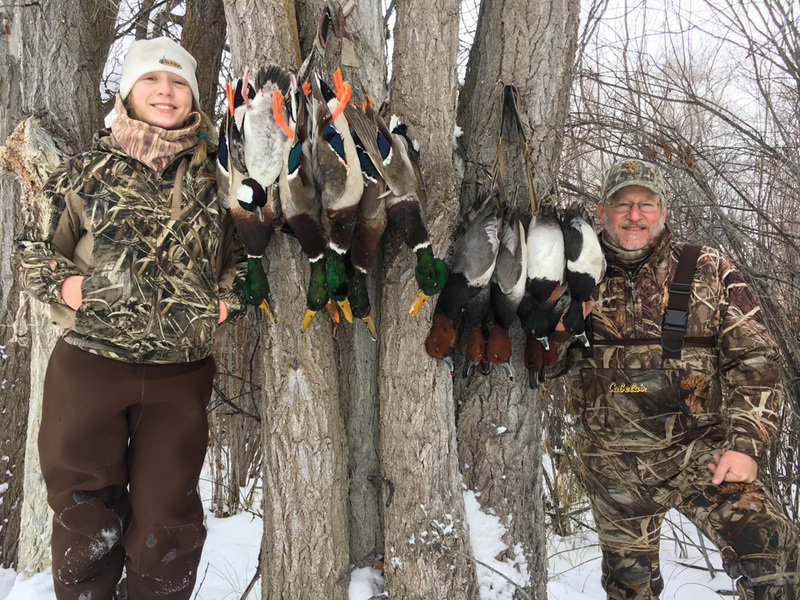 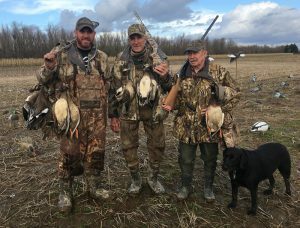 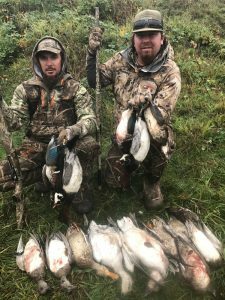 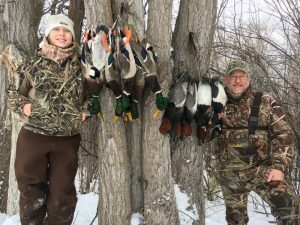 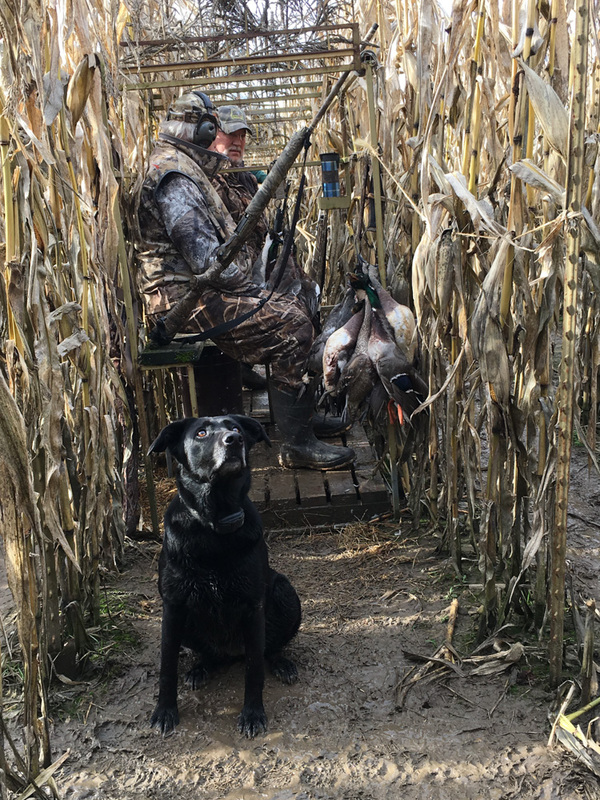 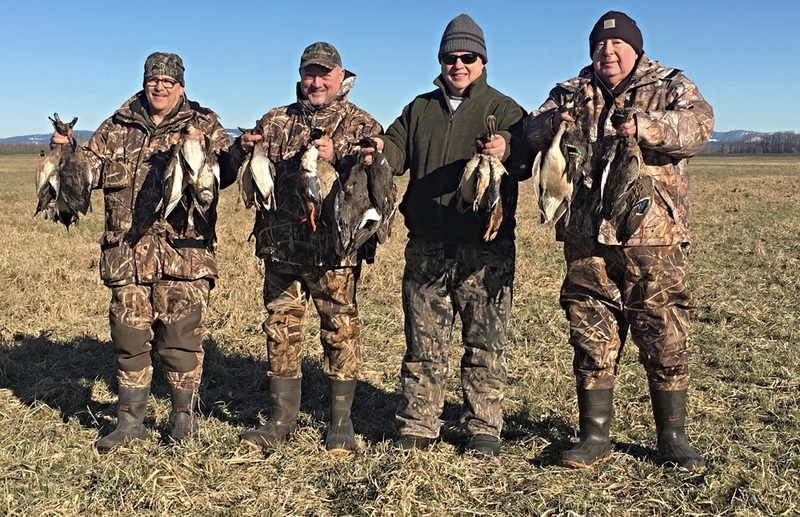 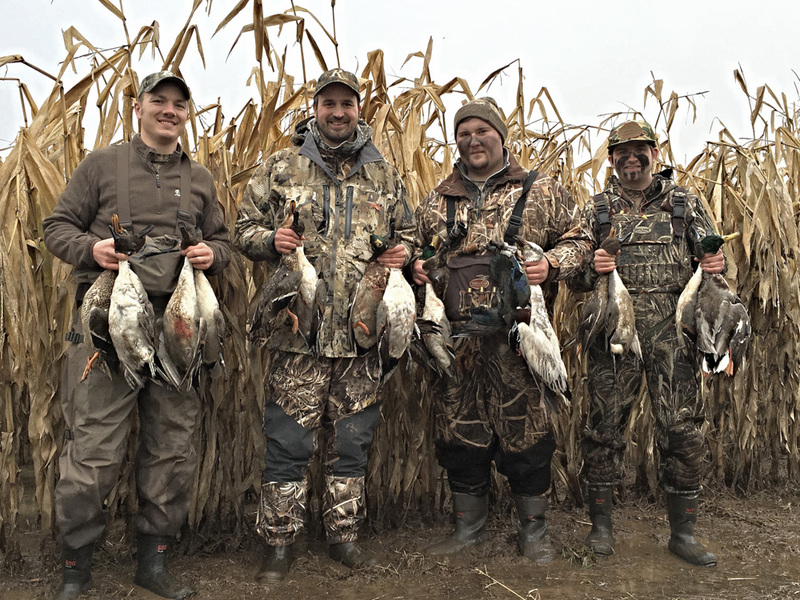 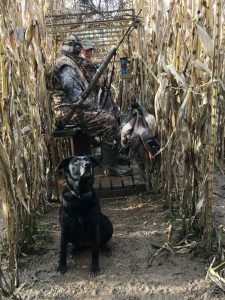 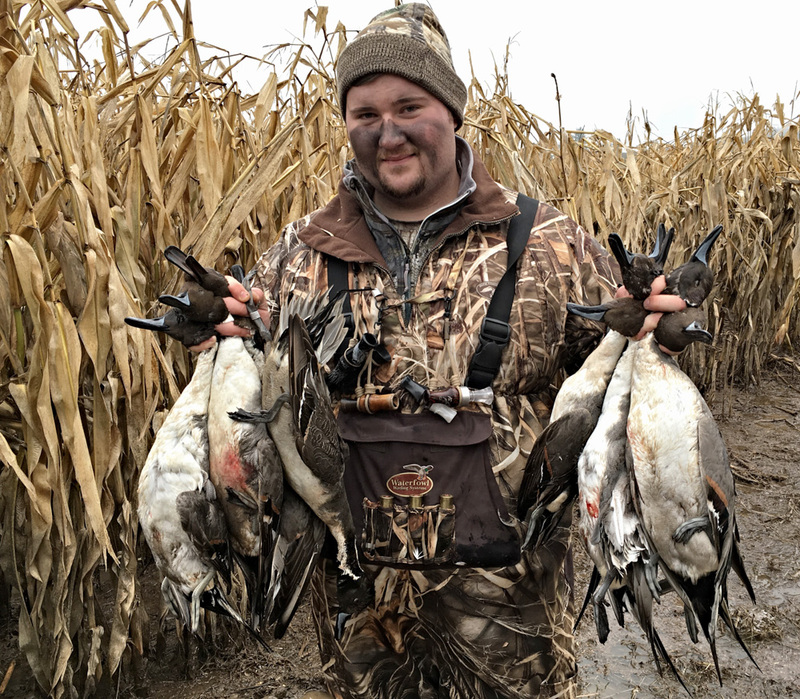 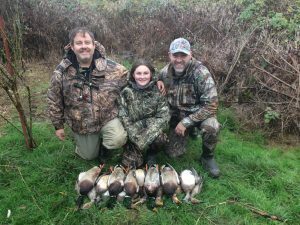 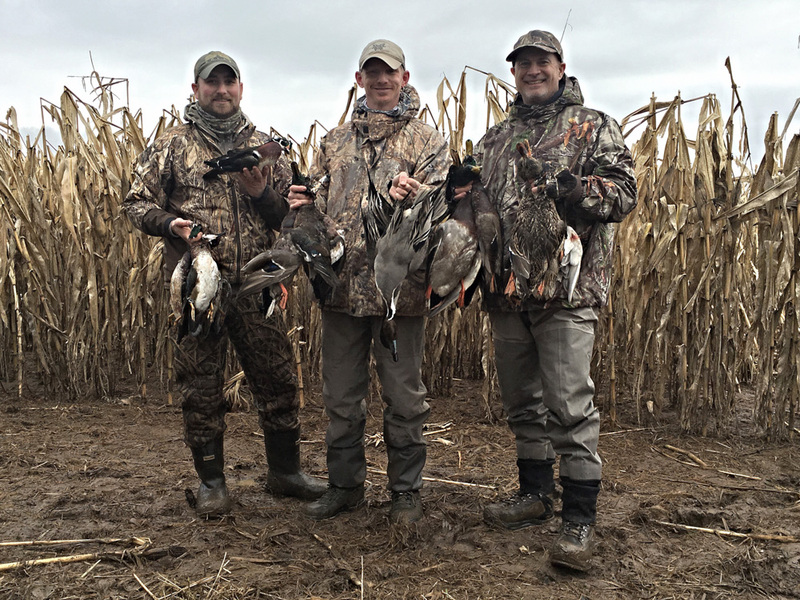 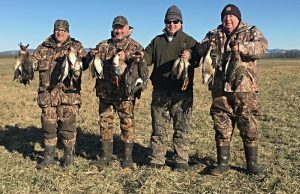 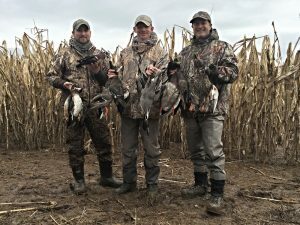 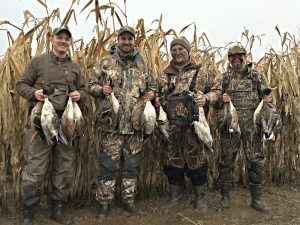 Scouting is key to our success and we hunt where the ducks are, this includes dry fields, flooded fields and timber sloughs. 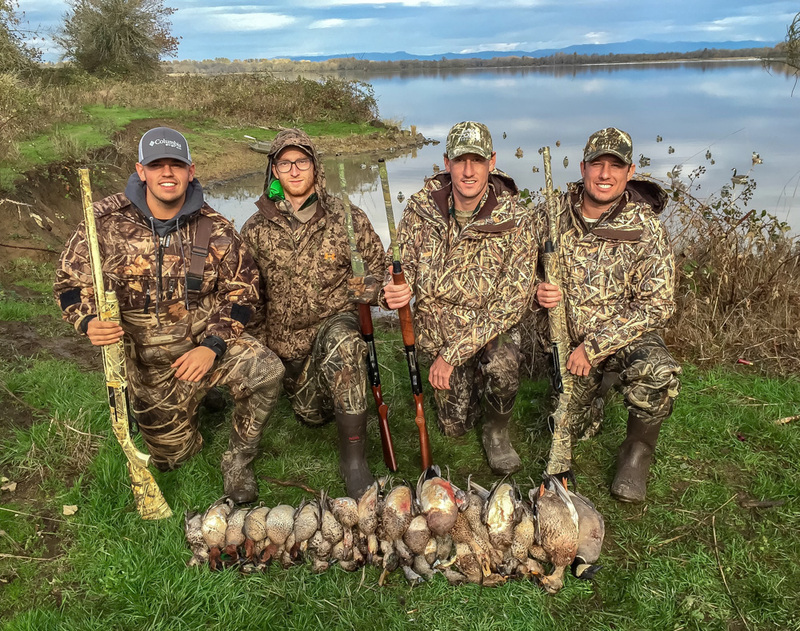 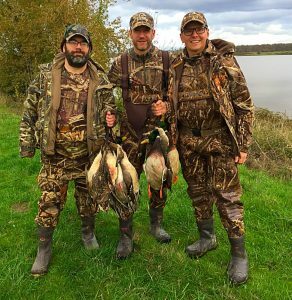 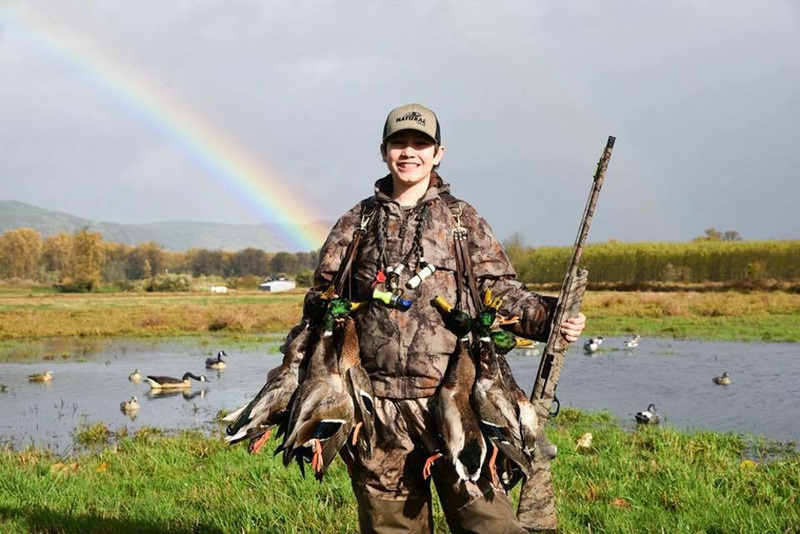 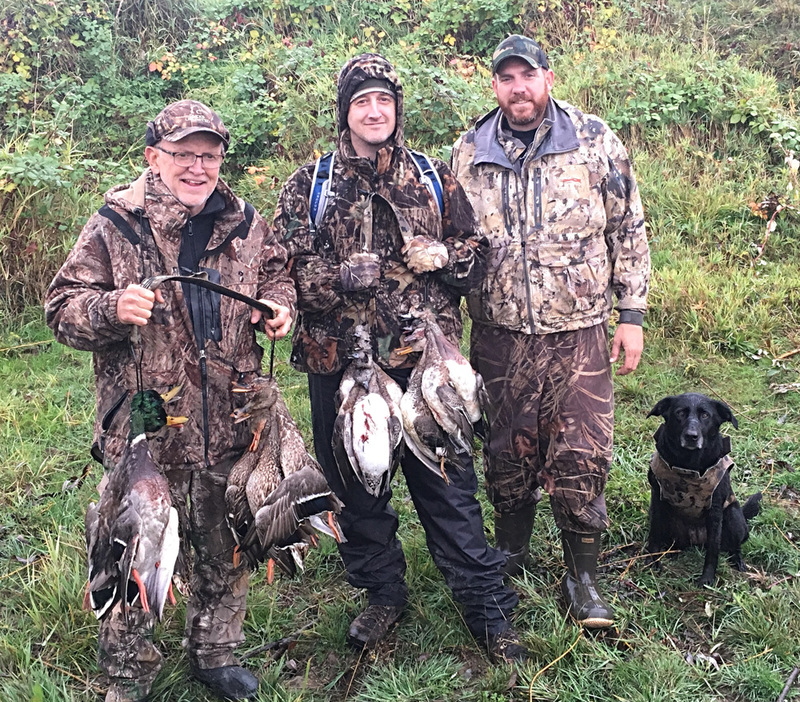 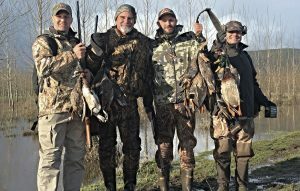 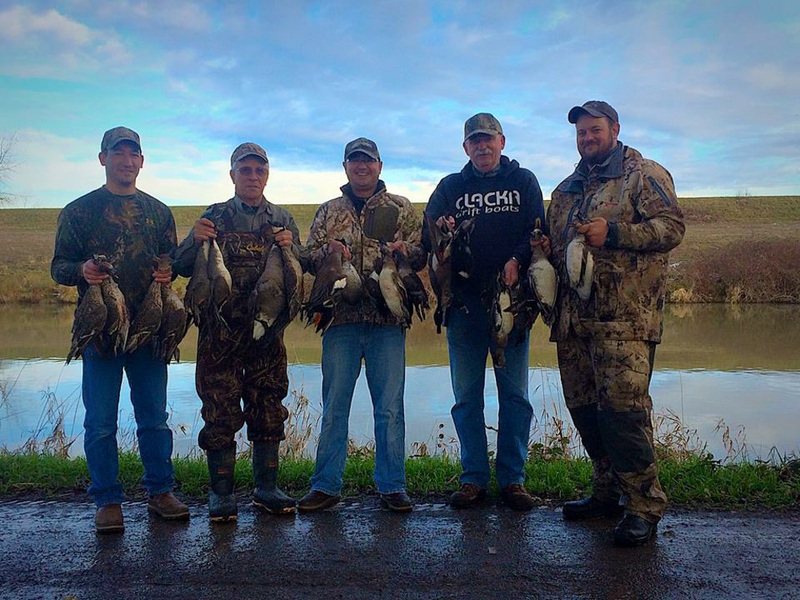 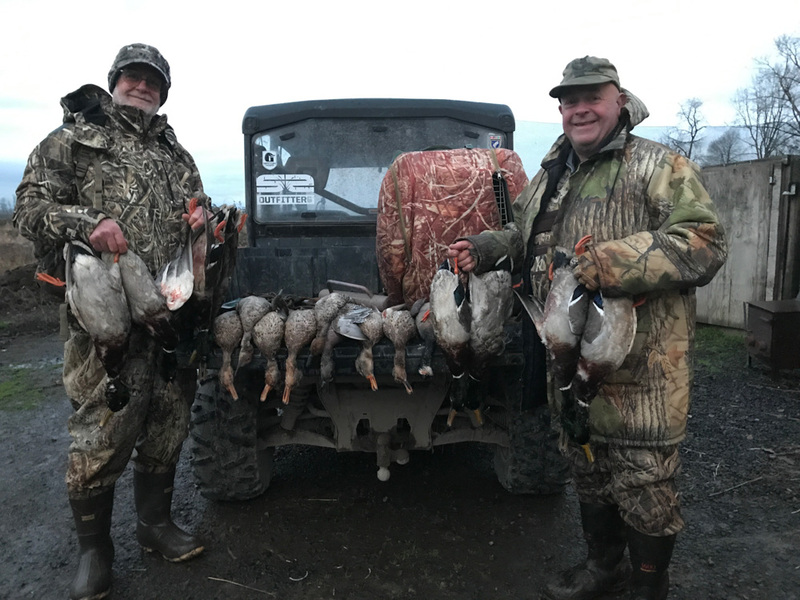 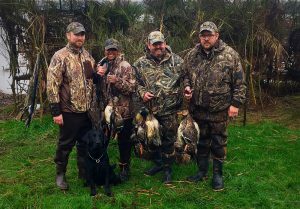 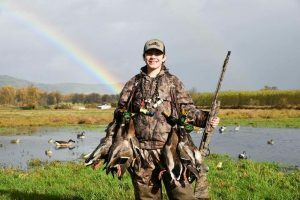 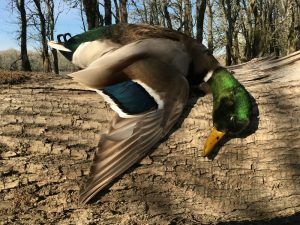 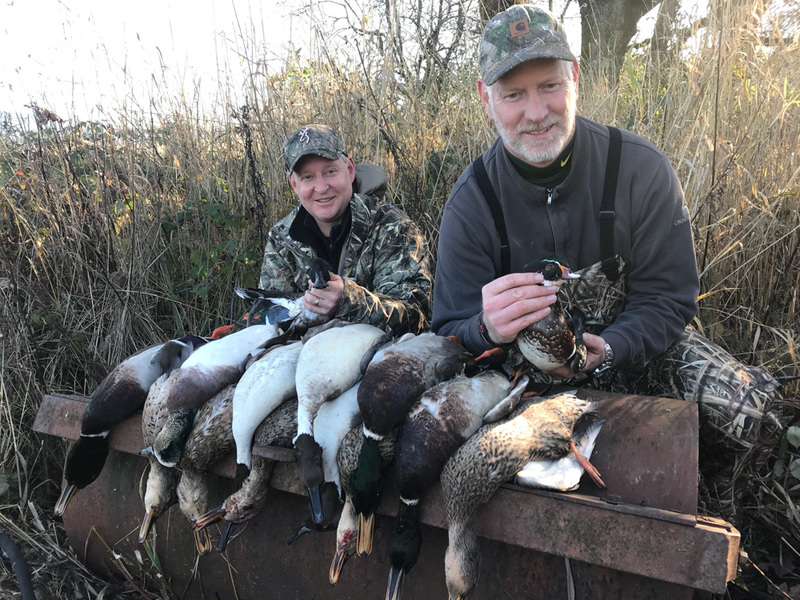 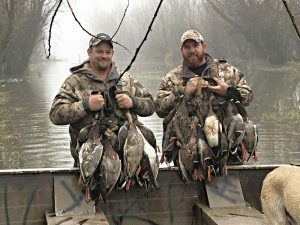 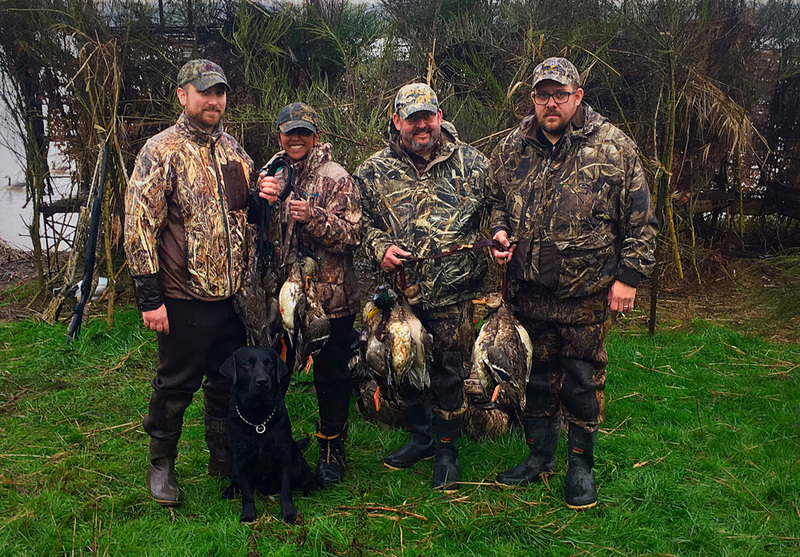 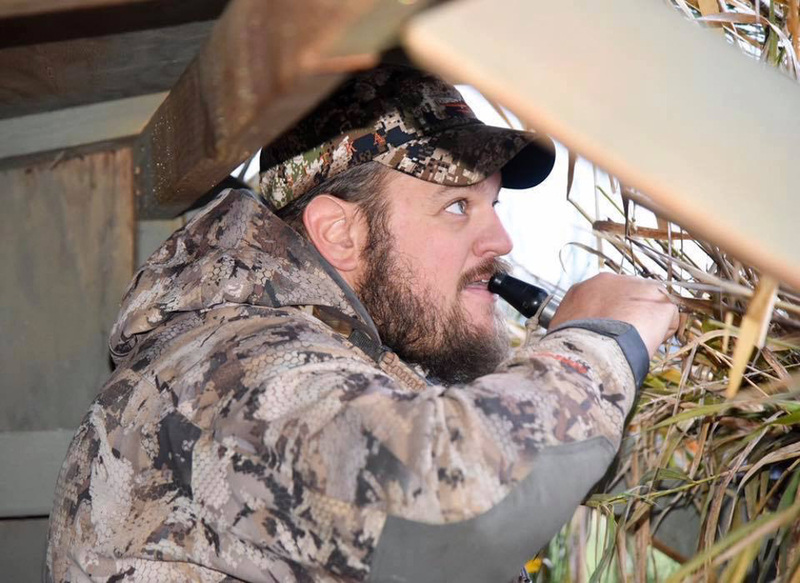 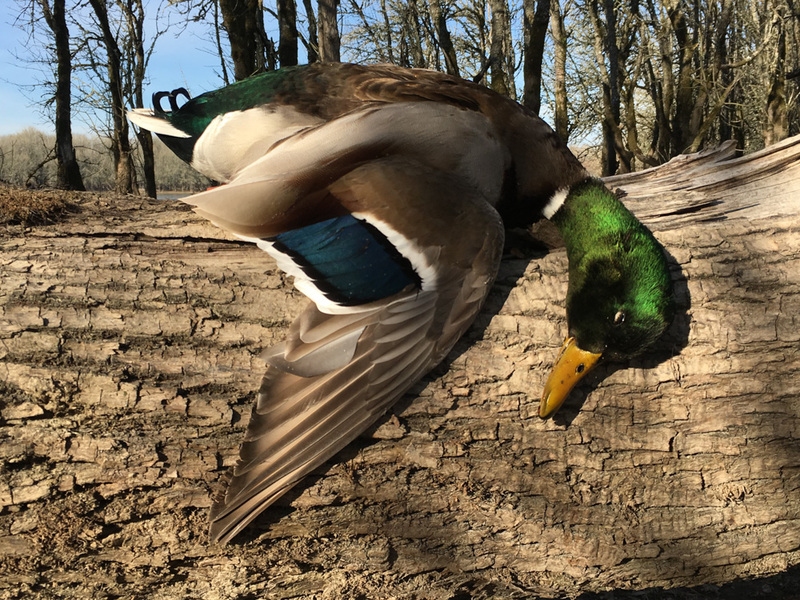 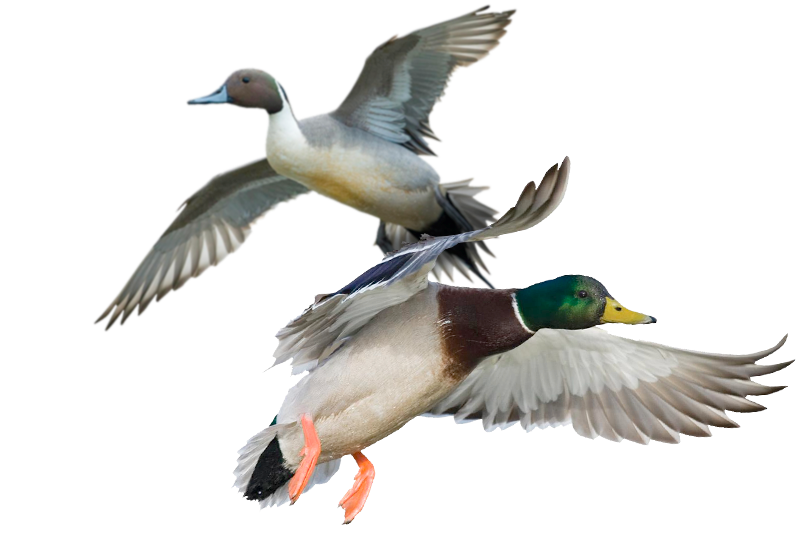 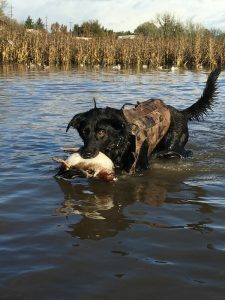 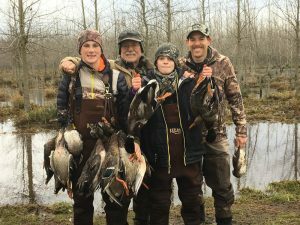 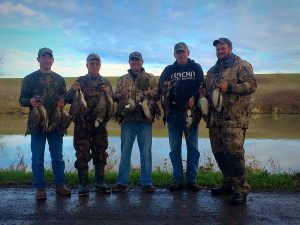 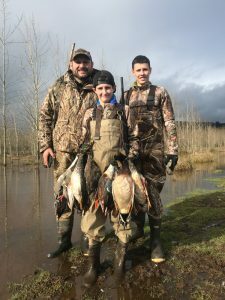 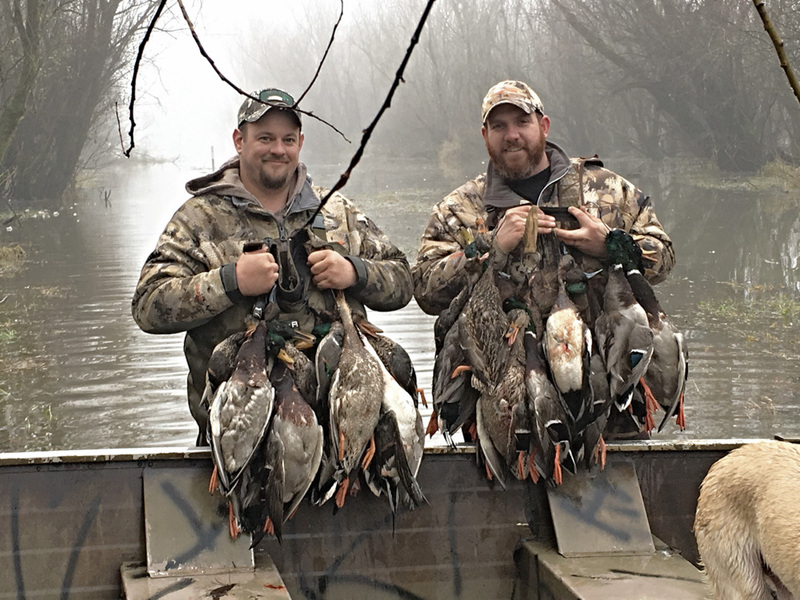 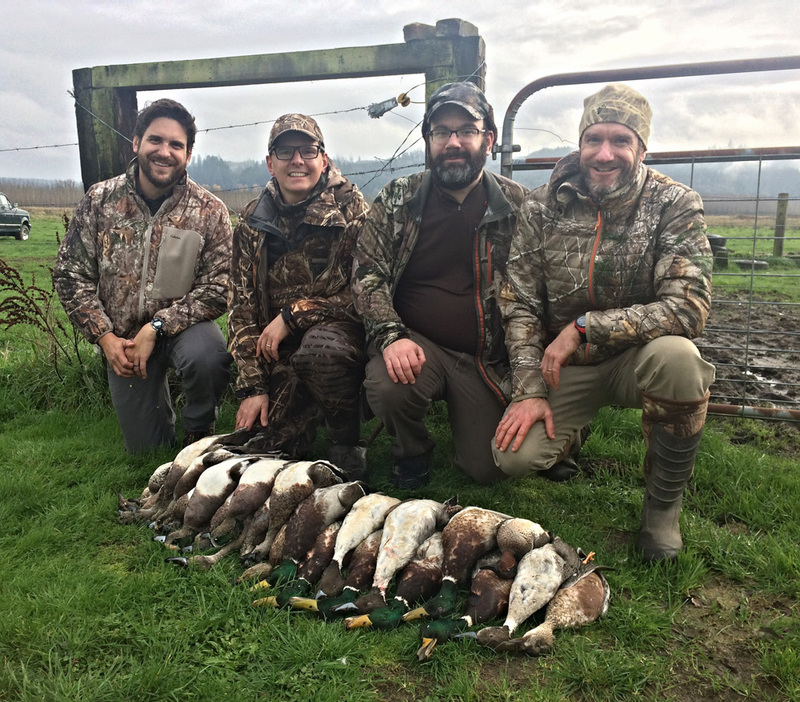 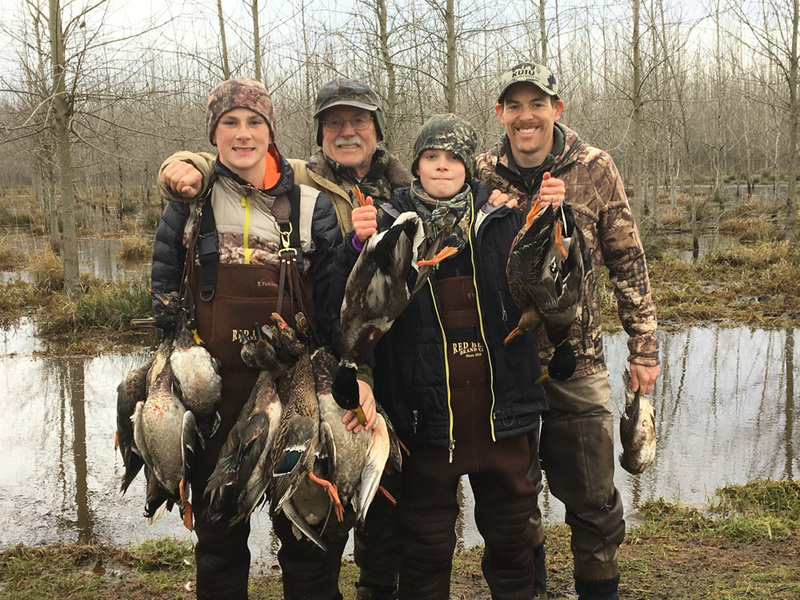 Most of our duck hunts take place in the Willamette Valley and areas around Sauvie Island. We go where the ducks so we scout constantly to make sure we are in the “honey hole”. While duck hunting in the N.W. 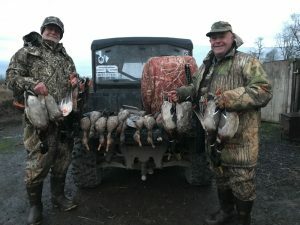 we will see Mallards, Pintails, Gadwall, Wigeon, Teal and the occasional diver. 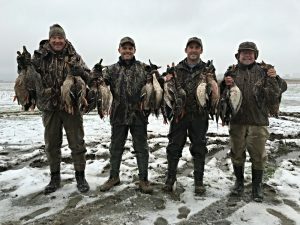 Man days can be used throughout the entire season. Minumum of two hunters per hunt.